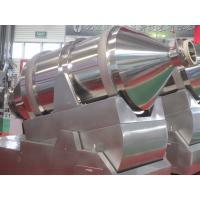 Through years of studying, comparing and absorbing both domestic and foreign machines, we develop our own design of HLD series hopper mixing machine. 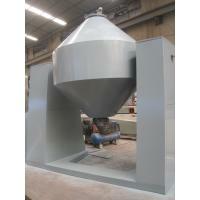 The main structure feature of the mixer is: the mixing body (material vessel) and the rotating axis form a angle of 30°. When the material is rotating, the material also makes tangent movement along the wall of the vessel. The function of these to movements makes all points of material moves in complicated ways, changes their positions all the time, so to have very high mixing efficiency. 1. 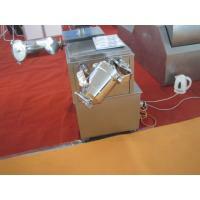 The structure is reasonable, adopting double hoisting devices, motor rotation, flexible coupler. 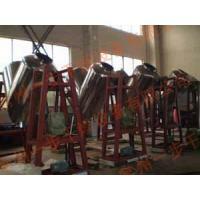 The performance is stable, the upkeep and maintenance and simpler, and there's no problem of leakage. 2. 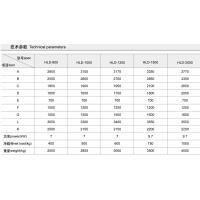 Adopt programmed control system, technical parameters setting system, machine stops system for safety, automatic accurate positioning system, operation, and automatic record printing system, that fully meet processing equipment of pharmaceutical companies. 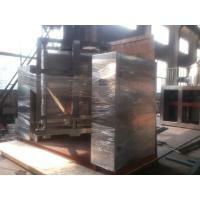 Fully automatic production is realized, and the operation is very simple. 3. 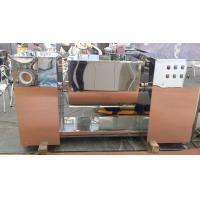 To ensure the quality of the machine, we adopt outsourcing parts with high quality for this machine. 4. 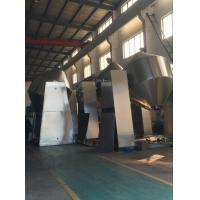 Equipped with fine manufactured hopper that fully meet the requirements of GMP, no residues of discharge, and it's easy for cleaning or washing. 5. 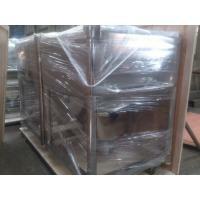 We supply series product for material conveying. 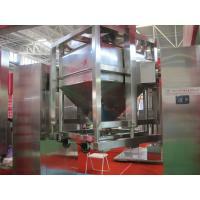 It forms advanced process together with the hopper mixing machine. 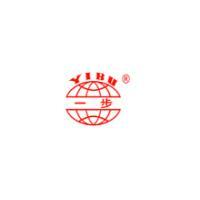 Remarks: If customer has any special requirements, please customize. lso makes tangent movement along the wall of the vessel. 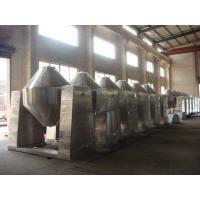 The function of these to movements makes all points of material moves in complicated ways, changes their positions all the time, so to have very high mixing efficiency.